Sign up for the Genesio Company's signature Annual Service Plan, and worry no more! 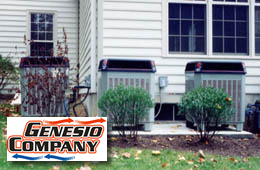 The Genesio Company Annual Service Plan covers both Spring and Fall maintenance. Starting price is just $270 per year! This price includes the itemized list of maintenance below, for both your indoor and outdoor units. The Genesio Company will check your system and test it to make sure it is ready when you need it and operates at maximum efficiency to keep your energy bills lower and save you money! All of this starting at just $270 per year! Contract pricing will vary depending on the number of systems in your home. The presence of air cleaners, purifiers, humidifiers, or other similar equipment may also cause the price to vary.